ESL, the world’s largest independent eSports brand, today announced the release of its ESL app on Xbox One, which enables competitive console players – initially from Europe and North America – to connect directly through Xbox Live. Launching on Oct. 21, the application will allow gamers to compete across an expansive list of game titles in a variety of ESL cups and tournaments. With matchmaking acting as the core feature, the ESL app on Xbox One eliminates the need for extra devices and browser windows, thereby streamlining the gaming experience for users. “ESL stands for the best eSports experience in the world and our goal is to deliver that experience on all platforms. By launching our own app, we want to bring that unique experience to the Xbox One and its lineup of multiplayer games. The app will allow players of all skill levels to easily participate in our tournaments. This is just the start for us – we are working hard to bring major eSports tournaments to consoles and integrate them flawlessly into our app so everyone can get involved.” said Marcel Menge, Managing Director at Turtle eSports Technology. “At Xbox, we’re dedicated to providing gamers with the experiences they ask for and we know competitive gaming is a growing category,” said Larry Hyrb, Xbox Live’s Major Nelson. “With the addition of the ESL app on Xbox One, we can deliver a wide range of tournaments for some of the best games on the platform all with the functionality our community craves.” The main feature of the application is to enable users to find, sign up and submit results for ESL cups and matches on Xbox itself. An extension of this allows the gamer to stay on top of the competition and track his/her progress within both past and present ESL competitions. 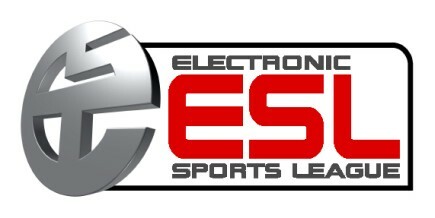 Additionally, opponents can be found, viewed and challenged (via gamertags) with the latest eSports news available from eslgaming.com.